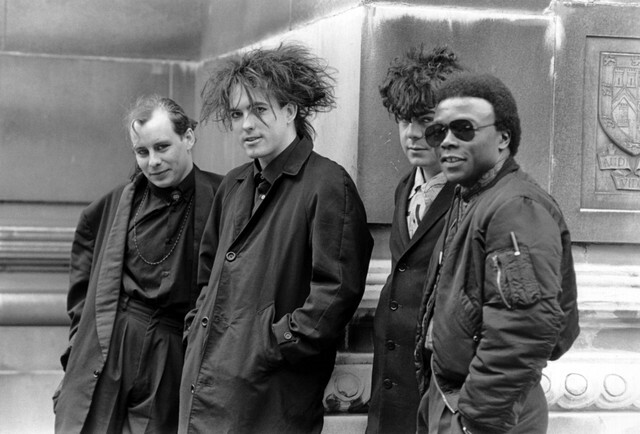 A London native, Anderson played on The Cure’s album The Top, the band’s first Top 10 album in the U.K., and performed on and toured with them behind the album. He also played on “The Lovecats,” which was released as a single before appearing on their 1983 compilation album Japanese Whispers. Anderson left the band at the end of the Top tour. He is featured on Concert, a live album compiled from London and Oxford shows during the tour. Prior to performing in The Cure, Anderson was briefly a non-recording member of Hawkwind. Anderson went on to work as a session and touring drummer for many other artists, including Iggy Pop, Peter Gabriel, Isaac Hayes, Glen Matlock, Edwyn Collins, and also recorded his own solo music.